Don’t Skip the Penanjakan 2 Bromo, the others option to see the Bromo sunrise. 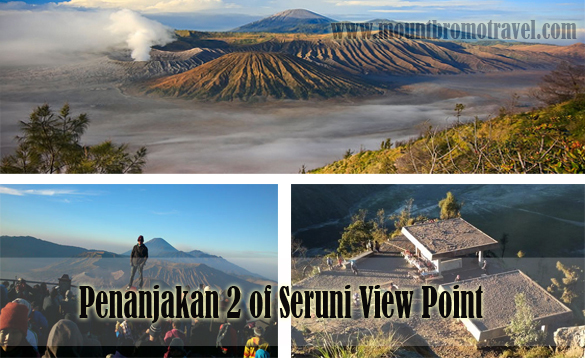 Penanjakan 2 of Seruni view point can be the best place to enjoy sunrise when you are in Bromo. If you are planning to visit this tour place, be sure you know all of things about it. This is important for you to make good preparation. Besides making budgeting plan, there are a lot of things to consider before stepping your feet on Penanjakan 2 of Seruni view point. The weather is pretty cold. Be sure you bring with you many warming clothes which include scarves, hats and gloves. Never underestimate the weather changing, especially if you live in warm weather region. So here is about Penanjakan 2 Seruni view point you should know. Like going to Mount Penanjakan view point 1, in order to get to Penanjakan 2 of Seruni view point, you also need certain cars like hardtop or jeep. The area is pretty ascending and steep and when you arrive in the jeep parking lot, you have to take a walk. The walk may take time about 20 minutes or more. It depends on the weather and of course, your health condition. It is guaranteed that when you are visiting Penanjakan 2 of Seruni view point, you will not get disappointed. From this place you can see the view of enchanting Mount Bromo perfectly. What is more amazing is that you will not only be able to see the view of Mount Bromo (2.329m asl) but also Mount Semeru (3.676m asl), Mount Kursi as well as Mount Batok. When you have visited Penanjakan view point 1 and have not skipped the Penanjakan 2 of Seruni view point, there are more places worth visiting. There are many spots in Bromo that we used for movies shoots, like Pasir Berbisik Bromo. This is an amazing ocean of sand which is located around Kaldera Bromo. 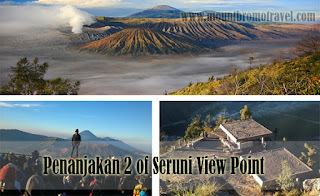 This is one of the tour places that you should not skip when visiting Bromo. Besides whispering sands (Pasir Berbisik), you should also visit the Grassland Savanna of Bromo. It is the place where you can enjoy rows of beautiful hills with cool weather. If you plan to spend several days in Bromo, it is suggested that you take Bromo tour package that covers this tour places as well. Search more information about the other enchanting tour places beside the Penanjakan 2 of Seruni view point.